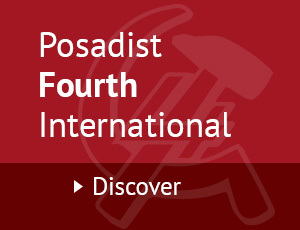 The Posadist IV International salutes the big Syriza victory in the recent elections as a victory for the whole Greek masses. 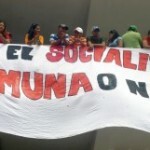 The latter expressed themselves in a centralised way, impelled by the popular struggles of the world and all their experiences in the last few years: Fifteen General Strikes and many occupations; the recovery of companies abandoned by their bosses and the struggles of working women, as well as a multitude of actions of mutual succour and solidarity organisations. This is how the masses managed to blunt the effects of the policy of austerity. This is how they became unified, dynamic and engaged in permanent debate. Syriza participated actively in the leadership of all those struggles. Here is a Party born and raised within a living and permanent relationship with the Greek masses. Thanks to this, Syriza could contribute to the centralisation of the riposte of the Greek population in these elections. Thanks to this, it turned into an unstoppable force the experience of struggle and social organisation previously developed on local and partial scales. The result was a massive vote for the Party of Alexis Tsipras. It was not just a piece of paper that people put in the ballot boxes, but their social struggles, their accumulated intelligence and their determination to reach higher. These elections reveal the Greek masses as a powerful national force. The Greek people were not intimidated by the catastrophist threats and predictions of the Troika and its acolytes in the European Union – like PPE (European Popular Party) and PSE (European Socialist Party). Tsipras had previously toured Latin American countries in full transformation like Venezuela and Ecuador. In the European elections, the European United Left (GUE-Nordic Greens) had chosen him as their unity candidate. The Greek masses felt they had international support and now their victory creates a world commotion! As soon as the European Commission reiterated its refusal to modify the Greek debt, protests sprang up in France, Italy and Spain. In Germany, the Trade Unions declared their solidarity with the Greek workers, in the teeth of their government, and of their habitual Social Democratic Party, SPD. The Venezuelan government now proposes a series of economic accords to the Hellenic government in the fields of new technologies, naval construction and food production. President Maduro said: “We will support with all our forces the Syriza government because it brings to Europe the hope that another world is possible”. This victory in Greece is going to free other forces in the world and these will aggravate the social and economic crisis of the capitalist system. Pressed to impose war situations everywhere, capitalism invests only in what amounts to a sterile war economy. On the eve of the Greek elections, the European Commission and the European Central Bank decreed a “stop to the austerity policy”. They would print 100 billion of paper Euros with a view to devalue the currency, facilitate exports and restart the economy. But that measure will “stop” nothing – its essential aim being to put pressure on Syriza and make the Syriza government retreat from its programme. 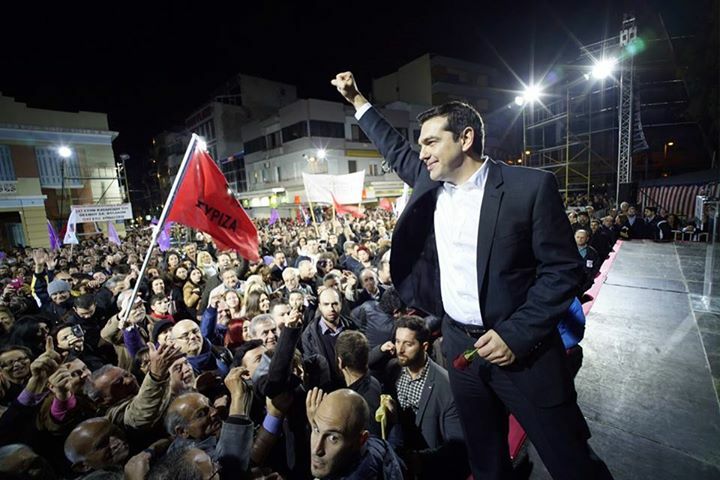 The Posadist IV International celebrates the victory of Syriza along with the Greek people. It commits to lead a campaign in the international Communist and revolutionary movements to defend this advance in Greece which holds the promise of a more important social and political progress. There are mobilisations in support of Syriza’s anti-austerity programme in many countries. They point to the masses’ determination not to bend the knee to capitalism, and to confront the austerity policy of the European governments. In order to go further now, the anti-austerity programme needs to be retaken by all the popular movements of the European Union. Forward to a United Front of all the Left Parties, the Trade Unions and the Community Associations! It is a fundamental condition to achieve this.